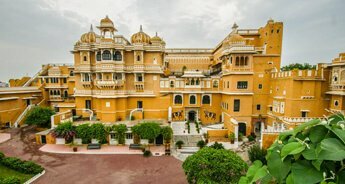 Visiting enchanting Rajasthan is always an exciting experience. 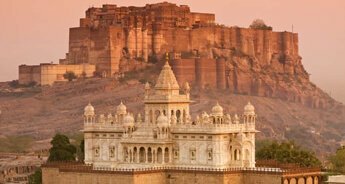 Enriched with glorious history and culture, this 11 days and 10 nights Rajasthan tour package is one of the magnificent ways to explore the rustic beauty of the desert. 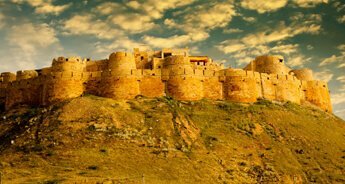 From the luxury palaces of Udaipur to the huge forts of Jodhpur, to the havelis of Jaisalmer to wildlife safari at the Amber Fort in Jaipur, it has something fascinating to offer to everyone. You will also get captivated with the traditional folk dance and music. 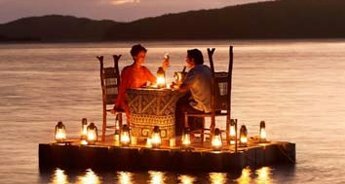 So, with our thoughtfully designed package, have a brush with history and return with pleasurable memories. In the morning take a boat ride at Lake Pichola. 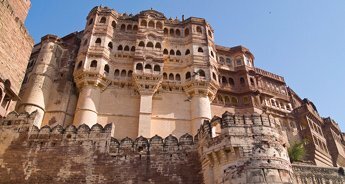 Next visit City Palace- It was built by the Maharana Udai Singh as the capital of the Sisodia Rajput clan in 1559. 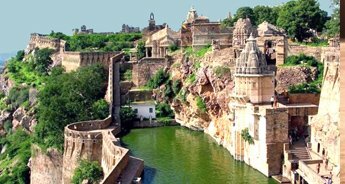 Jagdish Temple - Jagdish Temple is a large Hindu temple in the middle of Udaipur in Rajasthan. 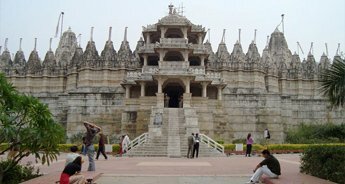 A big tourist attraction, the temple was originally called the temple of Jagannath Rai but is now called Jagdish-Ji, Saheliyon ki Bari (Gardens of the maids of Honor) and Museum. Evening transfer to the hotel. Stay overnight at the hotel. 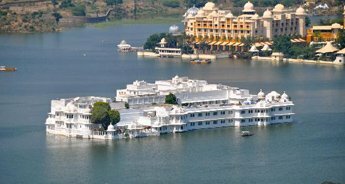 Udaipur the "City of Lakes" is one among the most romantic and most beautiful city of India. It is a lovely land around the blue water lakes, edge of the lush hills of the Aravalis. 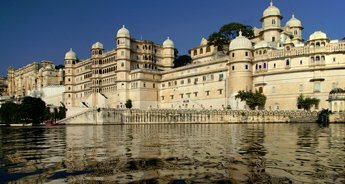 A vision in white soaked in romance and beauty, Udaipur city of Rajasthan state is a fascinating blend of sights, sounds and experiences - an inspiration for the imagination of the painters, poets and writers. 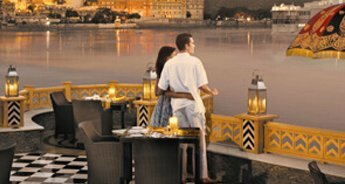 Udaipur's lakes, gardens, temples and narrow lanes scattered with stalls, carry the flavor of heroic past, epitomizing valor and chivalry. After breakfast drive to Jodhpur. On arrival at Jodhpur check-in at hotel. Evening free for shopping around the local market. Overnight stay at hotel. After having breakfast drive to Bikaner. On arrival check-in at hotel. Evening free to explore city by your own. Overnight stay at hotel. After breakfast go for half day tour of Bikaner, visiting the Bikaner Fort (Junagarh Fort)- The fort was originally called Chintamani and was renamed Junagarh or "Old Fort" in the early 20th century when the ruling family moved to Lalgarh Palace outside the fort limits, The Lalgarh Palace - The palace was built between 1902 and 1926 according to Rajput, Mughal and European architectural styles and the Deshnoke Temple (Karni Mata Temple) - Karni Mata, considered as an incarnation of Goddess Durga lived here in the fourteenth century and performed many miracles. Afternoon drive to Nawalgarh, on arrival check-in at hotel. Overnight stay at hotel. After breakfast visit the Amber Fort ascend the fort in Open Jeeps. 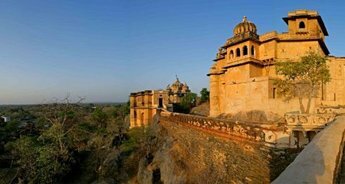 Amer, originally, was the capital of the state before Jaipur. It is an old fort, built in 1592 by Raja Man Singh, Maharaja's City Palace - City Palace, Jaipur, which includes the Chandra Mahal and Mubarak Mahal palaces and other buildings, is a palace complex in Jaipur, The Observatory (Jantar Mantar)- The Jantar Mantar is a collection of architectural astronomical instruments, built by Sawai Jai Singh who was a Mughal Commander and served Emperor Aurangzeb and later Mughals. 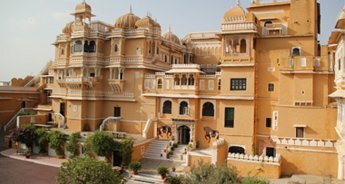 Drive past the Hawa Mahal (Palace of Winds)- Its unique five-storey exterior is also akin to the honeycomb of the beehive with its 953 small windows called jharokhas that are decorated with intricate latticework. Evening transfer to hotel. Stay overnight at hotel.